Monarch Madness at Moody Gardens! 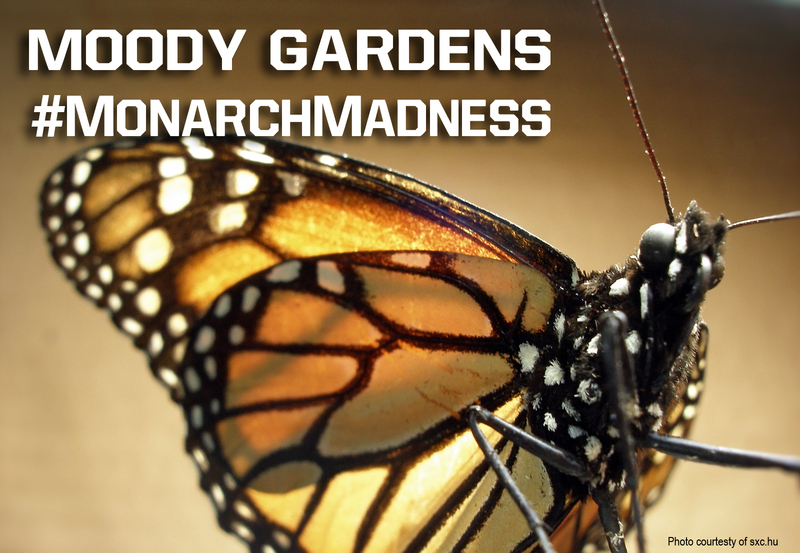 It’s March and that usually marks the beginning of a little thing called March Madness, but at Moody Gardens we’re focusing on a different kind of black and orange…the Monarch Butterfly! Join us as we learn more about this amazing creature featured in our new film Flight of the Butterflies 3D, opening March 9th at the MG 3D Theater. Posted on March 2, 2013 March 2, 2013 Author Moody GardensCategories Conservation, MG 3D TheaterTags 3D Films, butterflies, butterfly, butterfly migration, conservation, Flight of the Butterflies, galveston island, Monarch Butterfly, Monarch madnessLeave a comment on Monarch Madness at Moody Gardens!